The AC 313 (aka the Changhe Z-8F-100) is the largest helicopter to operate within China. Its primary role is in heavy civil transport and it is manufactured by Avicopter (the AVIC Helicopter Company). The AC 313 is designed to carry as many as 27 passengers (plus two crew members) and is intended for VIP transport, medical evacuation and search and rescue operations. The AC 313 derives from the Aerospatiale Super Frelon via the Harbin Z-8. Like its predecessors the AC 313 uses a three-engine design, specifically three Pratt & Whitney Canada PT6B-67A engines. It has a single rotor design, side-by-side pilot seating and non-retractable landing gear. Although it is based on a helicopter from the 1960, the AC 313 is a true 21st century aircraft. It is manufactured from modern composite materials and has a main rotor made from titanium. Fifty percent of the helicopter is constructed from composite material with the remainder made up of titanium. As can be expected from a helicopter in this size class the internal space of the AC313 is massive. The cabin height is 1.83 meters, which means that all but the tallest of passengers can stand at full height. Total cabin space is rated at 23.5 cubic meters. Thanks to its three engines the AC 313 can lift 4 tons internally or 5 tons as an underslung load. China has a variety of harsh environments and this is reflected in the design of the AC 313. The helicopter is only the second ever (after the Sikorsky S-70C Black Hawk) to operate in the Qinghai-Tibet plateau. The AC 313 was tested at temperatures as low as -46C. The 13-ton AC 313 also hit a breathtaking speed of 336 km/h (208 mph) during testing. It’s also the first Chinese-made aircraft to operate over 4500 meters above sea level. Thanks to its advanced instrument landing system, the AC 313 can fulfill its search and rescue role even in blizzard-class weather in plateau regions. 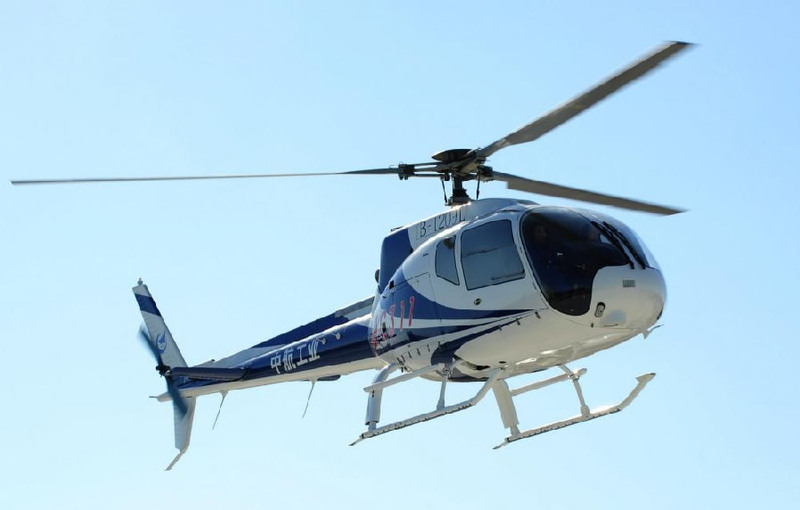 There are plans to certify the Helicopter for European and American markets, but the first actual deliveries were made in 2011 when Flying Dragon Special Aviation took possession of the first five units. A number of domestic and international orders have been placed and the intended production rate of 300 units per year by 2015 will make it one of the major helicopter production operations in the world. Do you want to comment the Avicopter AC311 / Changhe Z-8F-100 helicopter?